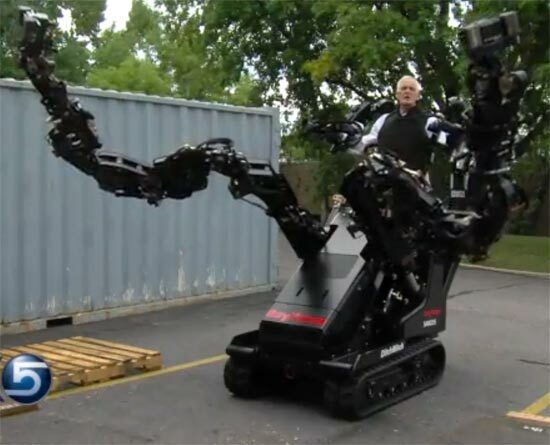 Raytheon-Sarcos has already made a name for its promising XOS 2 exoskeleton, and now the company is showing off another prototype that could very well replace the likes of the forklift. Besides looking pretty sweet, slapping two mighty industrial robo-limbs onto a mobile platform has plenty of advantages. The platform would be useful beyond just construction and opening stuck jars, to boot. It could help with rescue operations to quickly clear debris and find survivors, and can even be controlled remotely so that the operator doesn’t have to stand on top of it to work. It definitely looks a lot cooler to do that, though.